Tripods are a useful part of a photographer’s gear, and one that is often underused and misunderstood. Tripods are often considered a ‘set it and forget it’ type of tool – you use it to hold your camera in a given situations and that’s all you need to do. But there are a few simple steps you can take to maximize the effectiveness of your tripod – and the sharpness of your photos. Water droplets shot with a 50 mm lens and 7+14 mm extension tubes. Tripod used for 2" shutter speed at f/22. 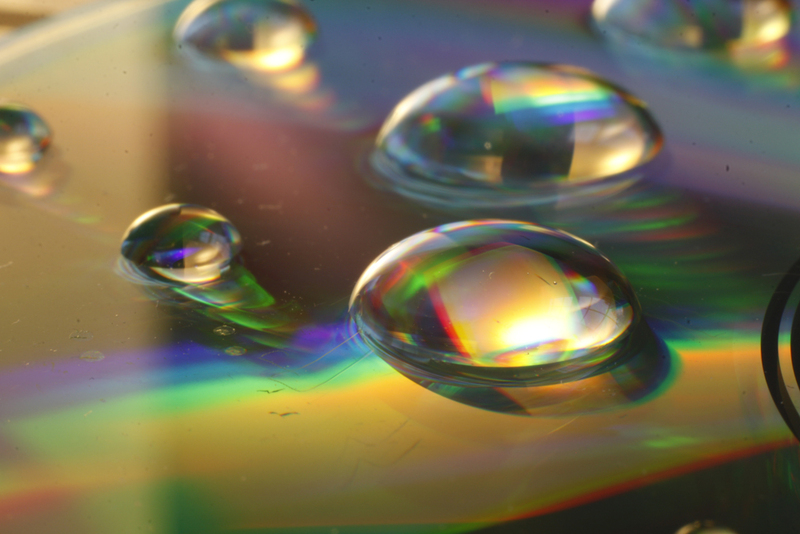 Read how to make the shot: Water on CD Refraction. First is to use a remote or timer to trigger your camera. While the motion of pushing down the shutter button doesn’t seem like much, it can create minor movement in the camera or the tripod. A remote shutter release removes this movement, whether you use a simple cord remote that attaches directly to the camera (and is very inexpensive) or a wireless remote. (Shop for remote shutter releases on Amazon. I use this remote with a cord.) If you don’t have a remote with you, you can set the 2-second or 10-second timer on the camera. This gives the camera those few seconds to recover from any motion conferred when you pressed the shutter. Mirror lockup is an additional step to remove unwanted movement. Every time your DSLR camera takes a photograph, the reflex mirror inside moves up before the shot and back down again after. This small, mechanical motion can impact the sharpness of your picture. You may need to look in your camera’s manual to find out how to enable mirror lockup. (For my Canon T1i, it is in the Custom Functions menu.) After you have enabled mirror lockup, you can use either of the methods above the trigger the shutter. You will hear two sounds: first, the sound of the mirror locking up, and then, two seconds later, the sound of the photograph being taken. 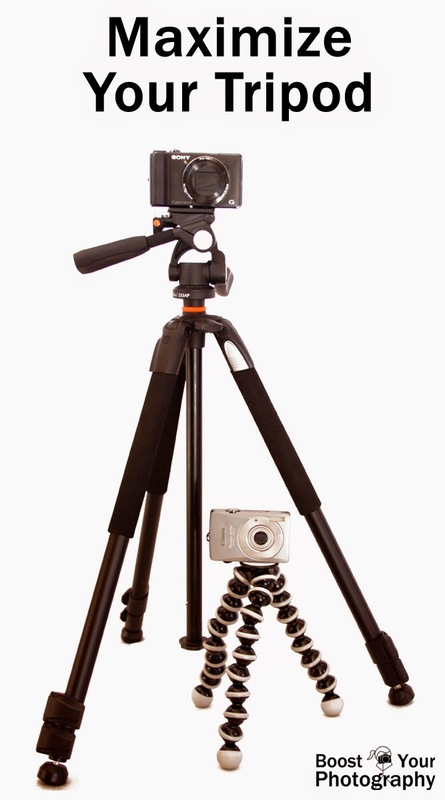 Use different tripods in different situations. A final tip is to disengage the image stabilization function on your lens, if available. Image stabilization (IS) is known by different names for different companies (IS for Canon, vibration reduction or VR for Nikon, vibration compensation or VC for Tamron, etc), but they all accomplish the same thing. Stabilized lenses allow you to handhold at lower shutter speeds by compensating for the possible motion or shake when you take the picture. When the camera is properly secured to a tripod, however, there is no motion from handholding, so a stabilized lens can actually add motion back in instead. Stabilized lenses often have a small switch on the barrel of the lens that allows you to turn off the stabilization. (It will generally be labeled with the brand-specific abbreviation.) So, if you’re using a tripod, flip it to off. Just remember to flip it back on when you are finished. So, there you go. Three simple steps to help minimize movement and maximize the effectiveness of using a tripod: use a remote or timer, engage mirror lockup, and turn off image stabilization. 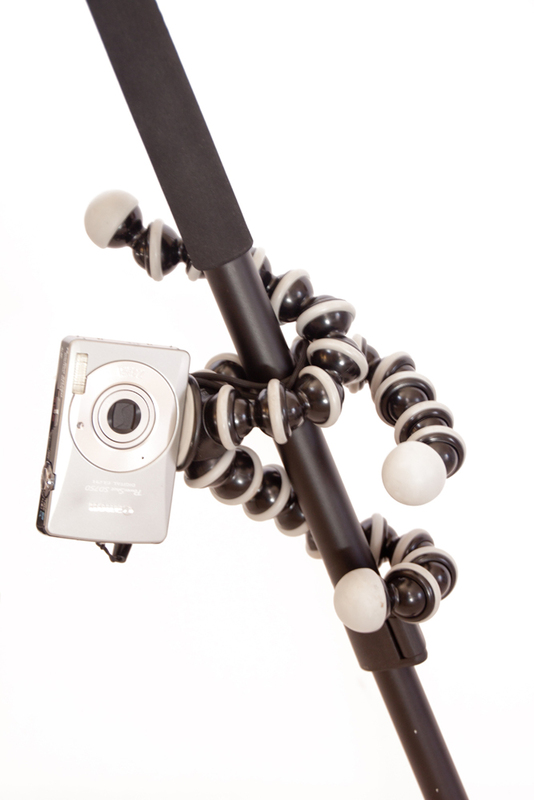 A Gorillapod is a very convenient and flexible style of tripod that allows you to take photographs in unconventional locations.